No, this isn’t a post about Chris Hemsworth (unfortunately), but it is about our second favorite thing: books! When stories have the ability to take you anywhere, you might not be thinking of who the author of your new favorite book is. However, in the past few years Australian authors have been making quite the splash stateside, and now is there perfect time to catch up on some great reads written by Aussies! 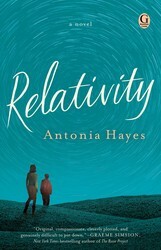 One of our favorites, Relativity by Antonia Hayes, is now available in a new paperback package from Gallery Books! Transport yourself to a parallel universe with Matthew Reilly’s Great Zoo of China. The novel chronicles a series of misadventures that occur after China discovers the existence of dragons and creates a one-of-a-kind zoo for the whole world to see. Prepare yourself for heart-pumping thrills as National Geographic writer Dr. Cassandra Jane Cameron arrives at the zoo for a top-secret preview weekend, only to watch the trip quickly go awry. What happens when a gifted and sheltered 12-year-old boy starts to question who his birth father is? In Antonia Hayes’s devastating debut novel Relativity, Ethan Forsythe’s life changes forever after he falls ill and intercepts a letter from his estranged birth father. Dealing with her son’s attempts to reunite the family, as well as the jeopardy his life now faces, Ethan’s mother Claire now faces one of the greatest challenges: how to proceed. Warning: tissues will be needed. 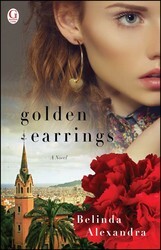 Watch a historical drama unfold in the beautiful, ancient landscapes of Barcelona and Paris with Belinda Alexandra’s novel Golden Earrings. The granddaughter of Spanish refugees, Paloma Bratton doesn’t let anything get in the way of her goal to become a ballerina. However, after Paloma receives a mysterious pair of gold earrings, her attention shifts to her Spanish heritage and a specific fascination with the once world famous flamenco dancer la Rusa, who has more of a connection to Paloma than she could ever realize. Alice Edevane lives the perfect, idyllic life as a 16-year-old girl at her family’s lakeside estate in Cornwall, England. But everything changes in one night after her 11-month-old brother goes missing during a party and her perfect family falls apart, changing Alice’s life forever. Fast-forward a few decades and Alice, now a successful author, has learned to come to terms with her brother’s disappearance. 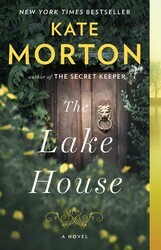 Yet, unbeknownst to Alice, a young woman has come across the abandoned lake house and began looking into the night of the disappearance, once again throwing Alice’s life into disorder. 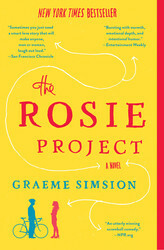 One of the most popular romantic comedies of our time, The Rosie Project chronicles the adventures of odd college professor Don as he attempts to find true love and live happily ever after. Being the highly scientific man that he is, Don decides to go about finding love in a systematic way, devising the Wife Project: a 16-page survey designed to single out his perfect woman. When Don meets Rosie, who fails in every way to qualify for what he has deemed wife material, and gets drawn into her world, all his plans for finding love soon fall apart in this ultimately heart-warming book. What happens when the little lies we tell on a daily basis blow up in our faces? Find out in Liane Moriarty’s Big Little Lies, which chronicles the journey of three women each stuck at a crossroads of what to do about her life. As mystery, death, and suspense unfold with each passing page, the three women must face just what the repercussions of their little fibs are, winding up with a shocking conclusion guaranteed to have you up all night reading. In Richard Flanagan’s Man Booker prize-winning novel The Narrow Road to the Deep North, veteran Dorrigo Evans’s life unfolds in front of the reader, moving from a Japanese POW camp to present-day Australia, to recount the tale of a man afflicted by wear, death, and ultimately the truth of what he has learned along the way. Intricately constructed and beautifully told, The Narrow Road to the Deep North will leave a lasting impression of what it means to be human. Set in Janus Rock, an isolated island off the coast of Australia, The Light Between Oceans details the life of lighthouse keeper Tom Sherbourne and his young wife Isabel. After years of living in isolation and repeated failures to conceive a child, Tom and Isabel are taken by surprise when a boat washes up on the island with a dead man and living child inside. Though Tom and Isabel take the child in as their own instead of reporting the accident, they cannot hide from their decisions forever. As the years go by and they eventually return to the mainland, Tom and Isabel come face-to-face with the devastation their decision caused, hauntingly reminding the reader that every action has a consequence. One of the best-selling books of the past decade and recently adapted into a film, The Book Thief may sound familiar to you. But did you know that the author, Markus Zusak, is actually Australian? It might be hard to tell in this heart-wrenching account of a little girl growing up in Nazi Germany during a time of unfathomable death and grief. However, as Liesel Meminger learns to read with the help of her contraband books and the Jewish man hidden away in her basement, the message becomes ever clearer that humanity subsists even when there seems to be none left at all. Leaving the reader with a sense of hope and awareness, it is not hard to understand why this book into one of the most enduring tales of the recent past. The action-packed thriller in the blockbuster and bestselling tradition of Jurassic Park, from #1 internationally bestselling author Matthew Reilly! For fans of Colleen McCullough, Kate Morton, and Lucinda Riley, a powerful saga of family, love, honor, and betrayal set in historical Barcelona and romantic Paris, from the author of Tuscan Rose. From the author of the acclaimed Gould’s Book of Fish, a magisterial novel of love and war that traces the life of one man from World War II to the present. Narrated by Death himself, this groundbreaking book about a foster girl who steals books in Nazi Germany is stunning. The New York Times calls it, “the kind of book that can be life-changing" -- and they're right. Definitely need to add some of these to my TBR list today! Added several of these to my TBR! 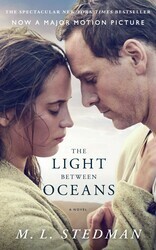 Really looking forward to The Light Between Oceans.